Pick's I.T. offers a complete suite of maintenance contract services and flexible programs that will enable clients to tailor services specific to their company’s needs, at a competitive price. We will ensure your voice and data networks are running consistent, efficient and secure. Commitment to service, combined with technical expertise, diverse knowledge and resources to troubleshoot technical issues is what guarantees our ongoing 100% commitment to your growing business. Our success is measured by long-term relationships and trust that have been culminated since our inception with a growing roster of loyal clients. Quarterly Service Contract: Prevent problems before they happen while keeping your peace of mind with our Quarterly Maintenance Plans for residential and business customers. Business Advanced Service Contract: An Advanced agreement goes one step further offering unlimited remote Voice & Data help desk support at a low monthly cost. 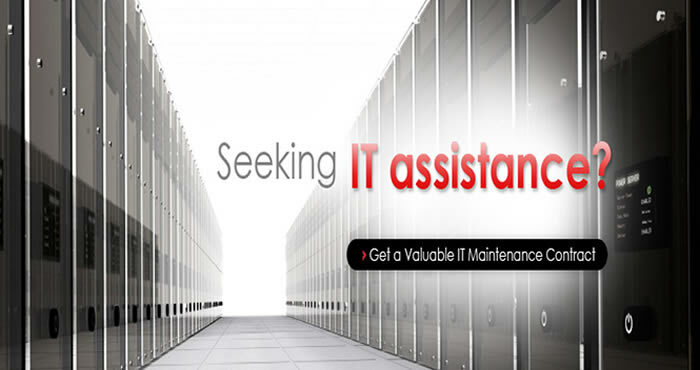 Our clients receive the 24X7X365 day support package with Pick's i.T. Managed Pro-active Monitoring. By instituting this Advanced Service contract, it is our goal to help reduce any network issues that may arise prior to them having an effect on day-to-day operations. Business Complete Service Contract: The highest level of contract support provides clients with guaranteed, unlimited on-site & remote Voice & Data help desk support. This package also guarantees the 24X7X365 day support with our Pick's I.T. Managed Pro-active Monitoring. This plan offers the Complete Service solution to keep your business running at 100% with no downtime. Business Comprehensive Service Contract: The Pick's I.T. comprehensive service contract offers specialized and tailored staffing solutions at Temporary, Permanent or Full-Time roles throughout various technology disciplines that you determine based on your company’s individual and specific needs. Technology is the ever-evolving backbone of any successful business. We invite you to tell us where you see the future of your business, and how one of our inclusive service contracts can help you get there!